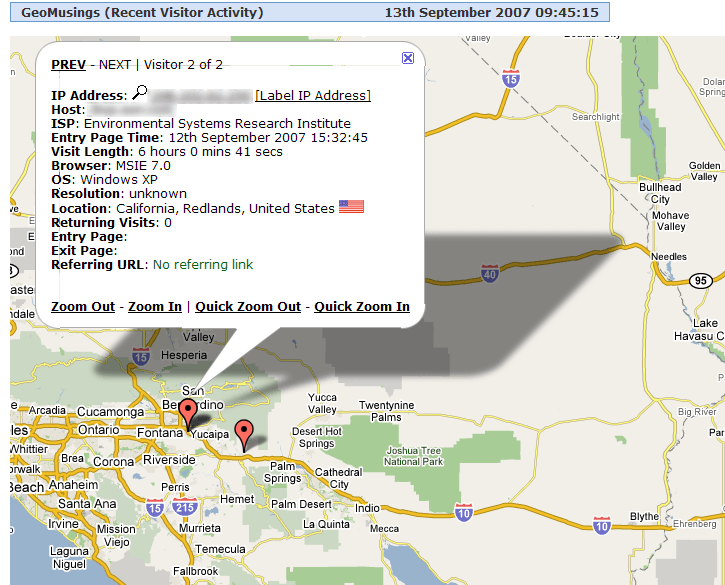 Overview of StatCounter.com “Recent Visitor Map” feature. This probably old news but I’m pretty impressed by it. 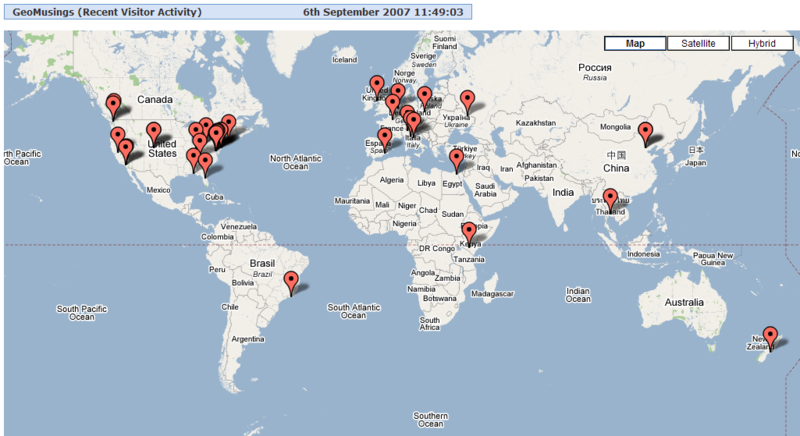 I’m referring to the recent visitor map on StatCounter.com. We do a lot of web development where I work (both GIS and not) and I like to keep an eye on tools that may be useful in that area. StatCounter provides a free service that keeps track of who’s visiting a site. It can track IP, referring links, etc. It’s pretty standard stuff but their reporting tools are nice so I thought I’d check it out. As for the web bug version I set up on my blog, I’ve been able to figure out that a couple of big system integrators (who act as their own ISP) are interested in SharpMap. I find this tool to be an ideal application of the push-pin mapping concept. Previous Previous post: Is SharpMap Viable?